台北鳥喜 (produced by Toriki とり喜) 是台北信義區 Neo 19 餐廳之一, 也是台北米其林餐盤餐廳之一. 近期推出的鳥喜商業午餐價格深受附近上班族喜愛. 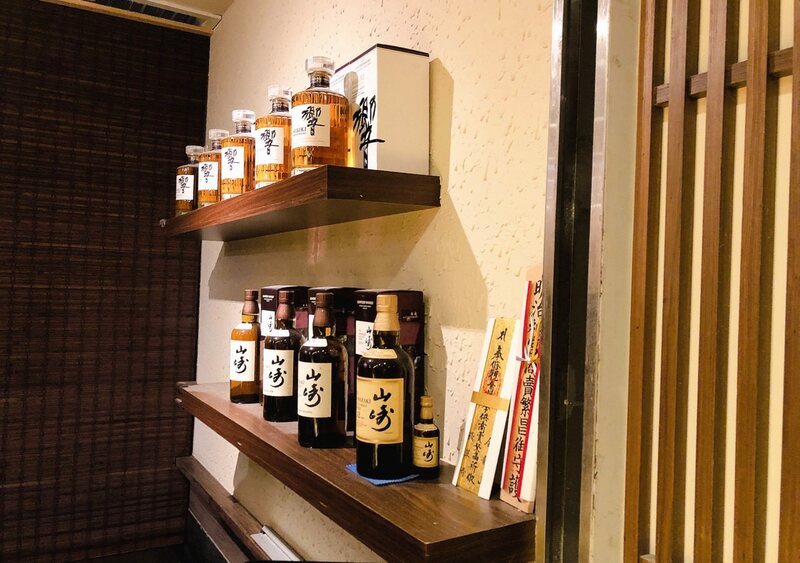 Produced by Toriki Taipei Restaurant is one of the Neo 19 restaurants. Its recent price-friendly lunch set is successful promoted. 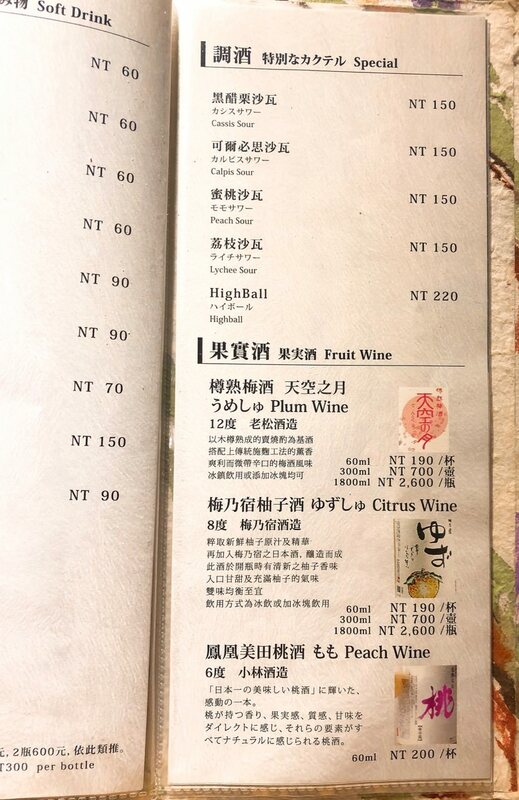 It is also one of the Taipei Michelin Plate Restaurants. 台北鳥喜餐廳臨近象山捷運站與台北101 捷運站, 與 “LA PHO” 和 “一幻拉麵“ 皆在 Neo 19 一樓. 嚴格來說 2017 年新開幕的台北鳥喜餐廳與 芝山站 “鳥哲” 和 忠孝新生站“鳥丈爐端燒” 屬於同一類型, 皆是以善用全雞部位燒烤為特色. 不起眼的餐廳小門面很難想像是米其林餐盤餐廳之一, 餐廳與 “麵屋壹慶拉麵”一樣為木質裝潢, 也有板前座位, 半開放小包廂善用空間為 ㄇ 字型. 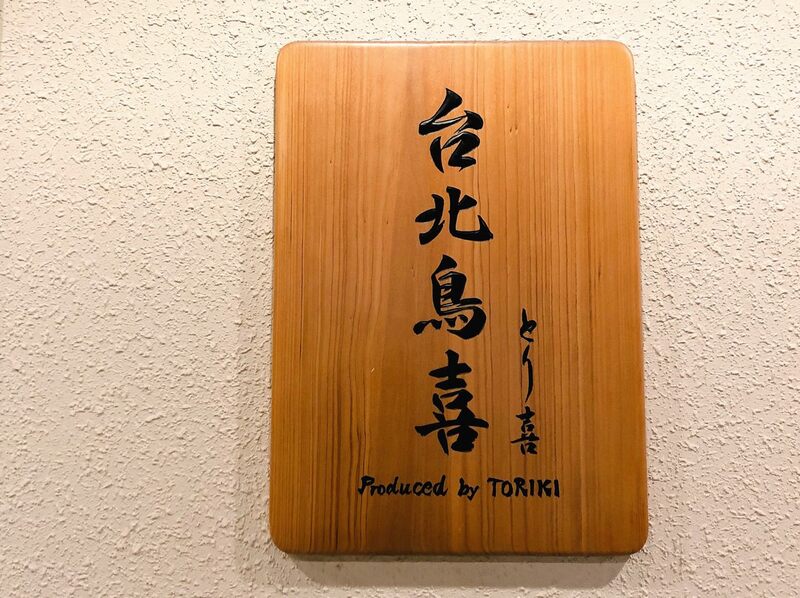 Produced by Toriki restaurant is closed to Elephant Mountain and Taipei 101 MRT station. 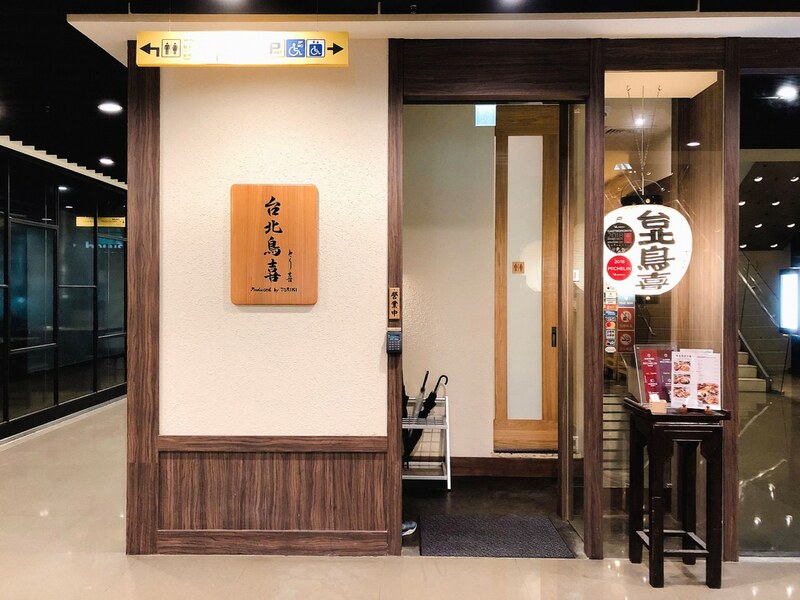 The restaurant location is the same as “LA PHO” and “Ebisoba Ichigen Ramen”. 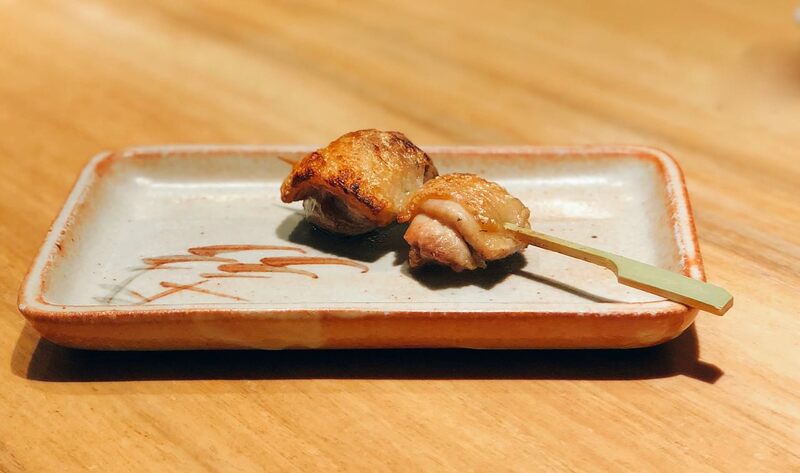 The newly-opened Produced by Toriki restaurant offers grilled different types of chicken parts. 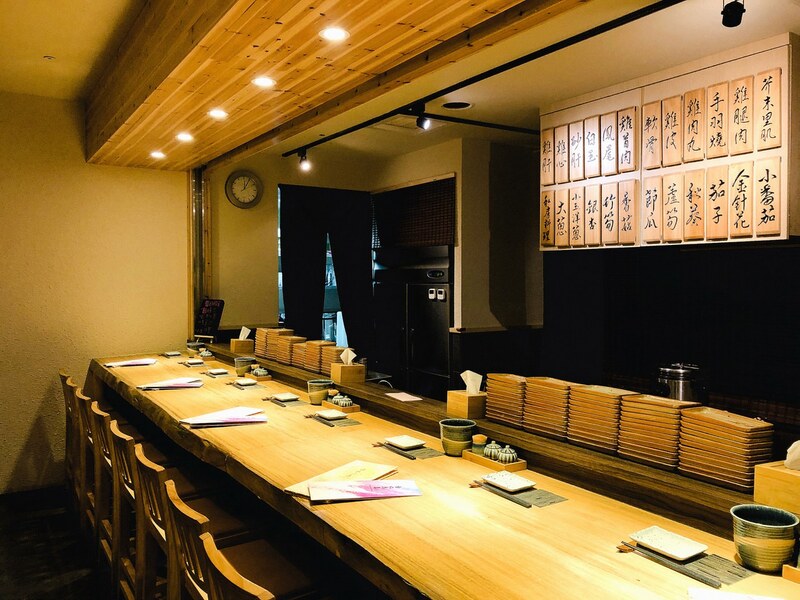 It is hard to imagine the small restaurant door is one of the Michelin Plate Restaurants. 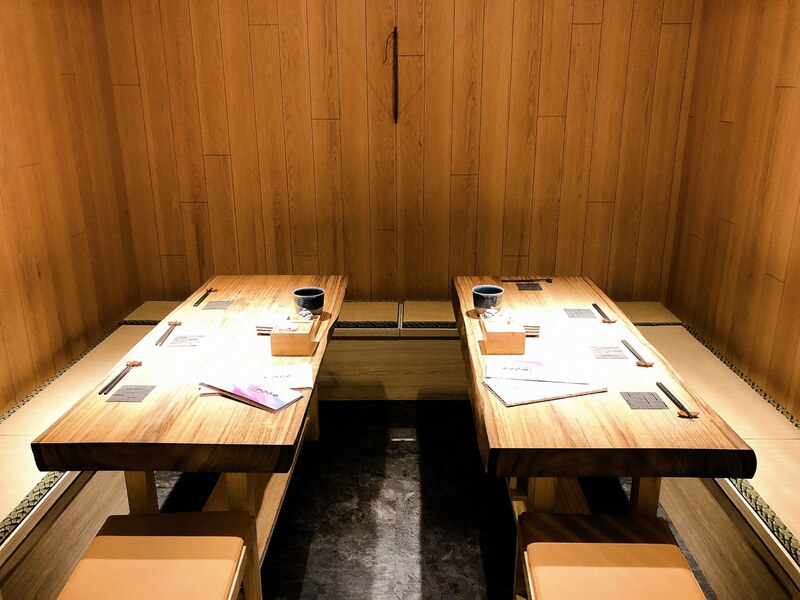 The indoor is design is similar with “Ichi Ramen”, which has counter seat. It is also has half-opened dining area seats. 之前聽說台北鳥喜訂位會需要手機簡訊提供的密碼才能開門, 當天我吃的是午餐, 並不用密碼, 直接走進去即可. 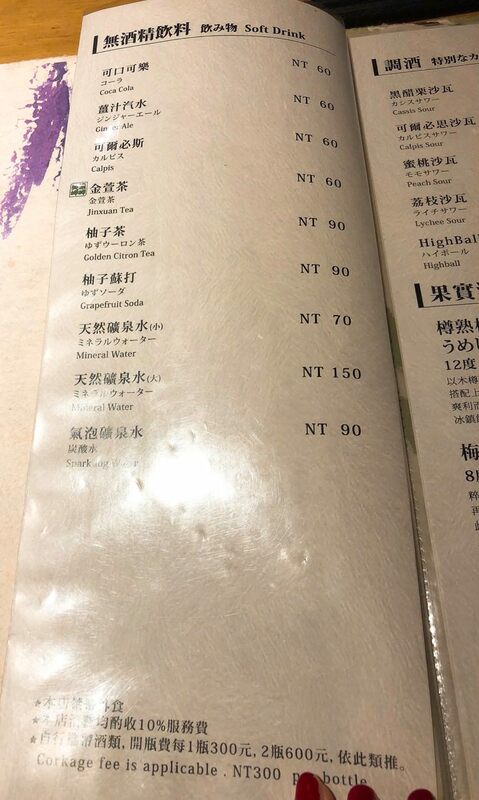 入座後仔細觀察,台北鳥喜僅提供雞肉料理, 而且主廚是採用高成本的台灣桂丁雞, 這品種的雞常出現在價位偏高的餐廳, 例如在”頁小館“就有桶仔桂丁雞燉飯, 除了牆上菜單外, 也有限量料理項目寫在板前小黑板, 桌上調味料有常見七味粉和山椒粉供客人自行調味. I once heard that the front door has secret password, which will be message u the day before. However, I dine during lunch time, which you don’t need password. 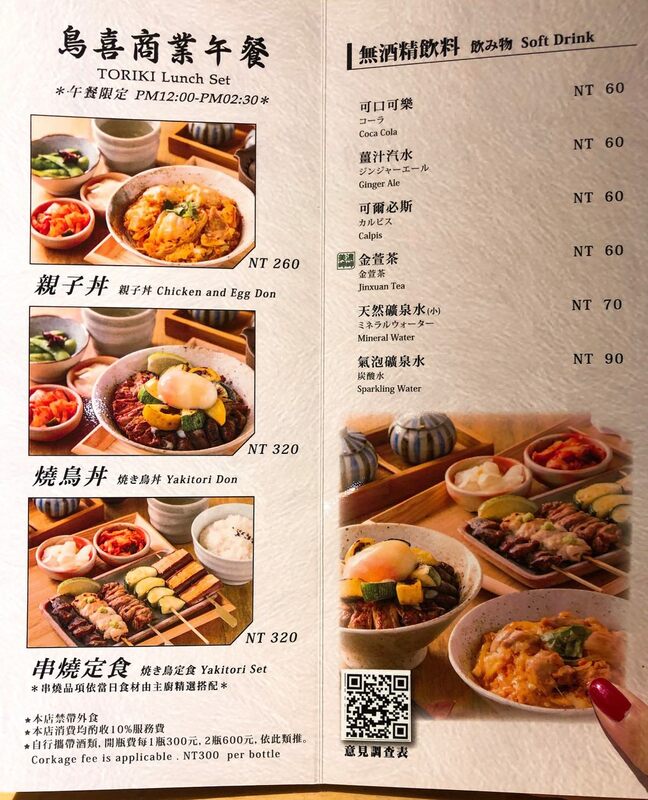 After seating, I noticed that Produced by Toriki restaurant only offers high-cost Taiwanese chicken. 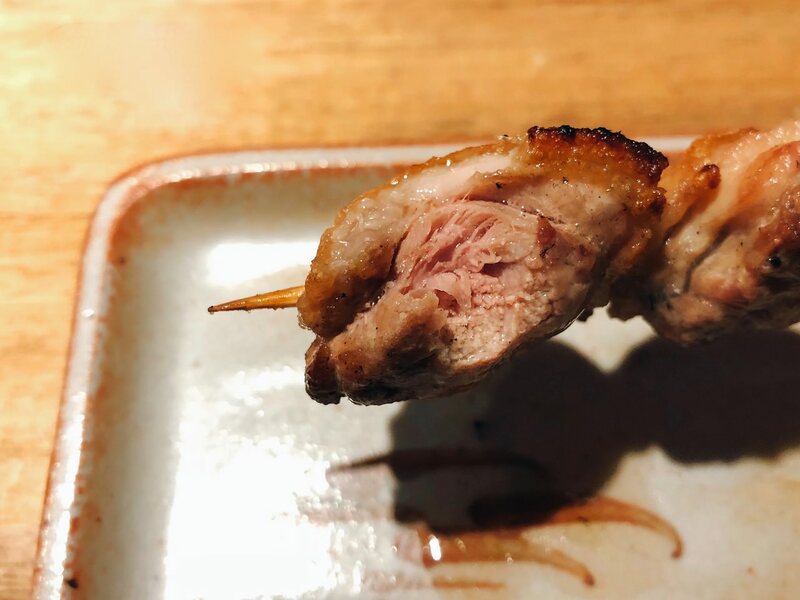 This type of chicken only appeared in medium-high level restaurants, such as “Restaurant Page”. 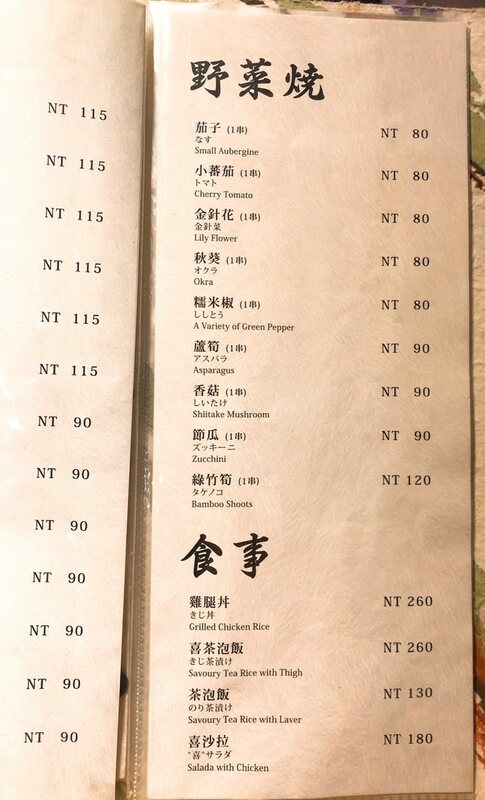 Besides the wall menu, there is also limited quantity cuisine on the black board. 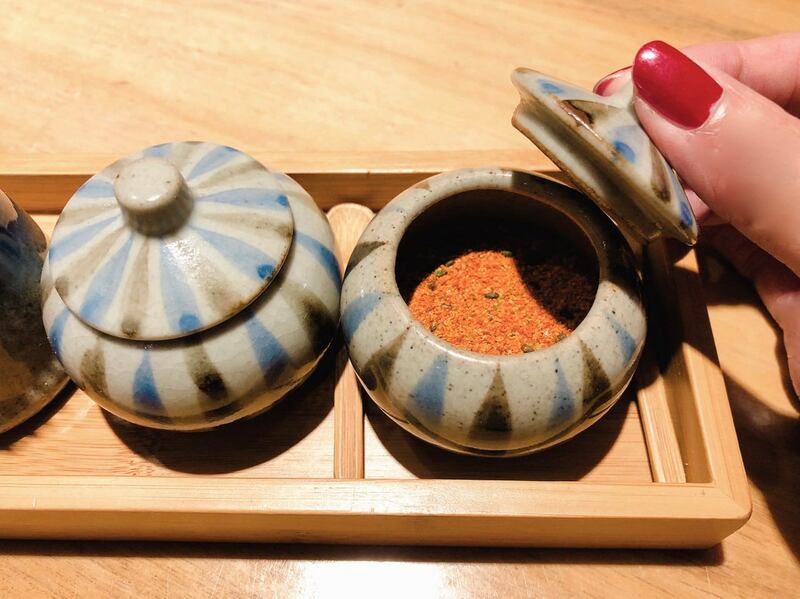 There are two flavorings, which are Shichimi and pepper powder, on the table. 主廚細心地注意與翻動著正在燒烤的食材, 與 “nkụ Taipei” 最大的不同是台北鳥喜採用備長炭, 主廚運用紙扇控溫的方式與 “Wildwood 餐廳“ 相似. 我選擇燒鳥丼飯的原因是單獨串燒我一定會吃不飽, 選擇飯食較容易飽足. 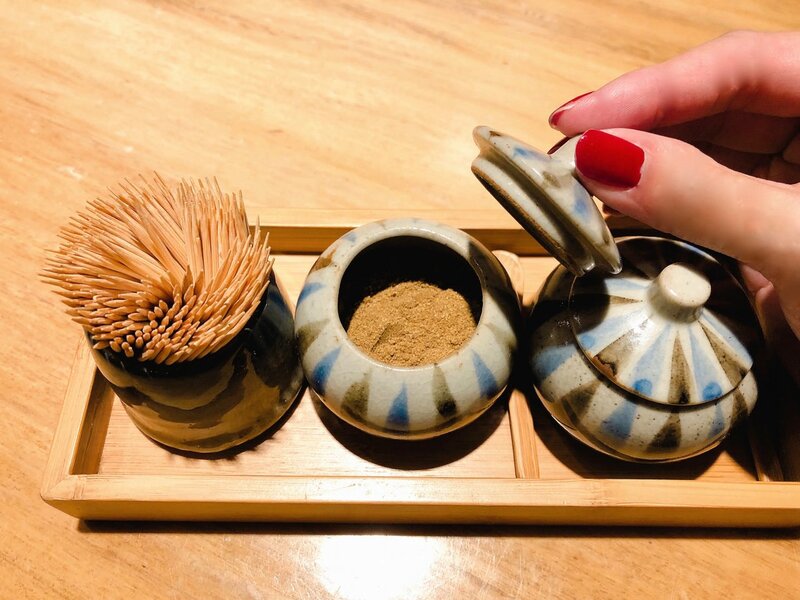 店員端上跟 “談談越新越式美食 (Talk the Pho) “ 類似的木盤, 可惜視覺上燒鳥丼飯份量並不多, 雞腿肉與雞首肉環繞著燒烤綠色與黃色櫛瓜, 燒烤褐色桂丁雞肉上色均勻但微焦油亮, 咬一口時, 除了肉質嫩度高外, 溫熱油脂如預期在口中打滾, 忍不住不停地佐飯, 飯上的柴魚海苔芝麻更增加香氣, 將溫泉蛋戳開, 金黃色蛋黃流至丼飯, 讓這款燒鳥丼飯變得更美味. 可惜套餐清雞湯偏淡, 而且我不太理解為何韓國辣泡菜會是日本套餐的配菜. 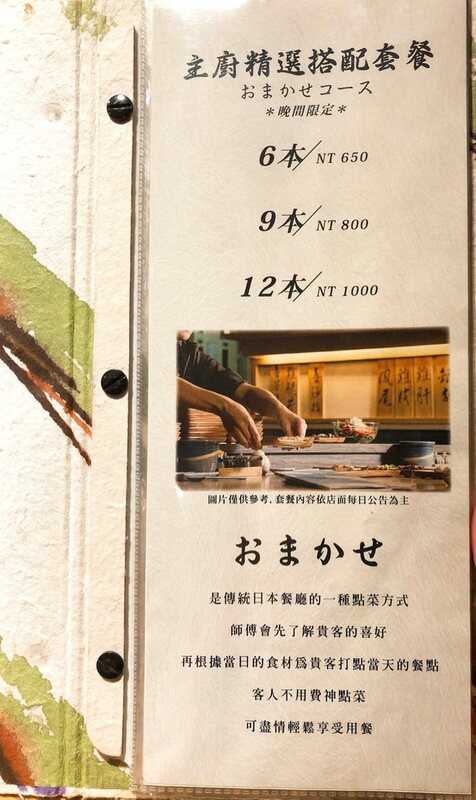 “Nkụ Taipei” uses wood, but “Produced by Toriki restaurant” uses charcoal. Same as “Wildwood Live Restaurant”, the chef uses paper fan to control the temperature. 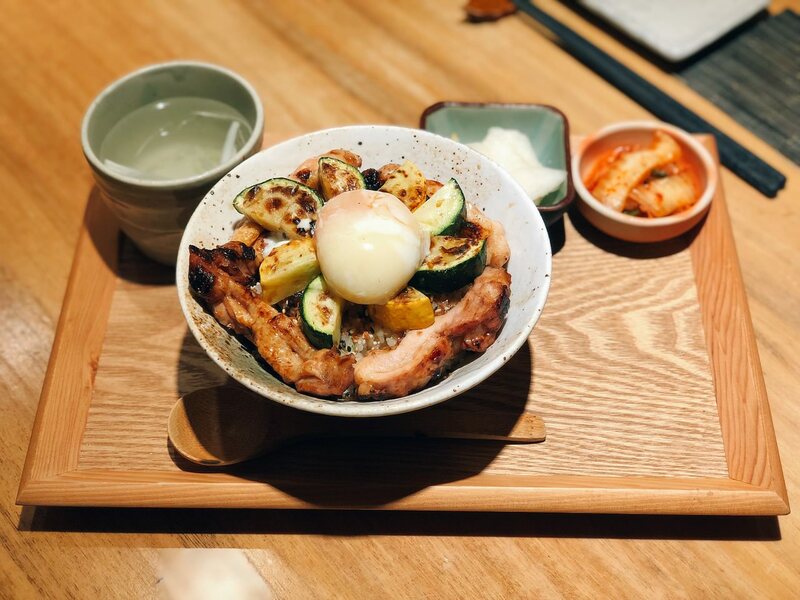 I chose Yakitori Don because I am sure that the grilled meat cannot fulfill my appetite at the moment. Pairing with rice would be better. The staff place the don on the wooden plate, just like “Talk the Pho”. However, the quantity of the dish is not too much. The grilled chicken surrounds the green and yellow grilled zucchini. 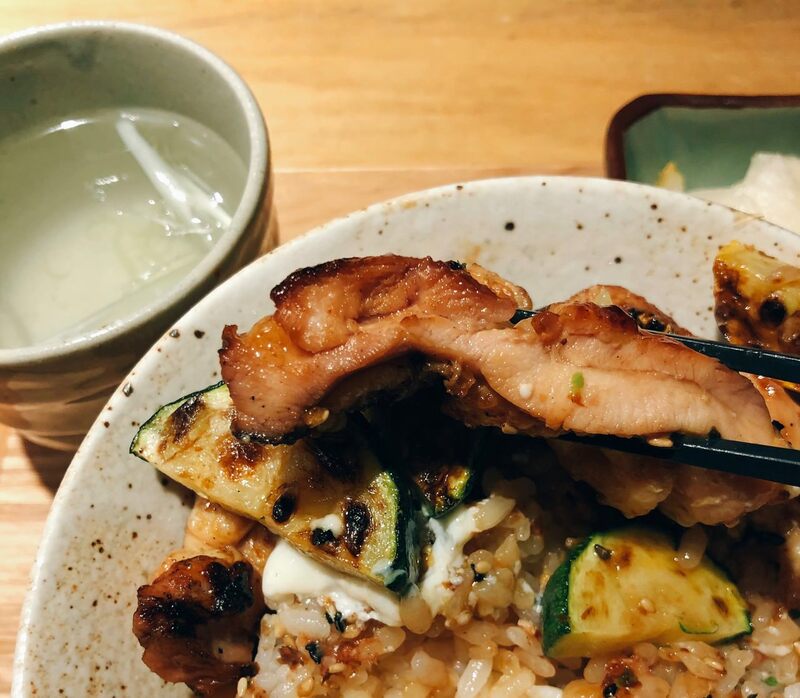 The golden-brown color chicken meat is tender with fats. 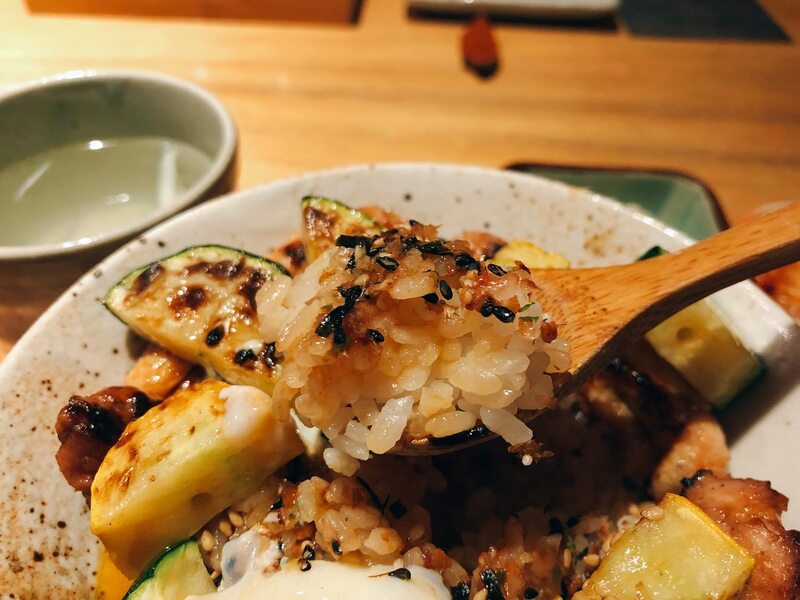 The half-boiled egg is perfect pairing with the rice. But, the chicken soup is a bit too light. 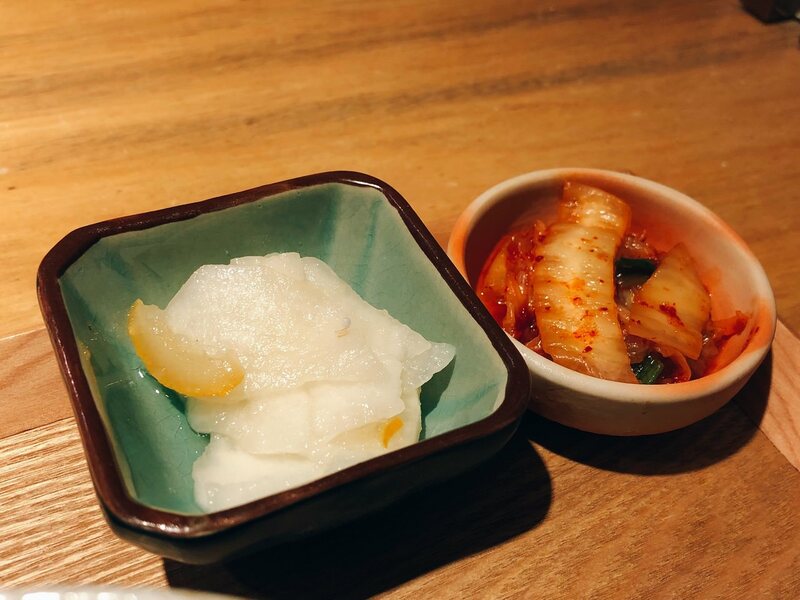 And I do not understand why the kimchi is the Japanese Don Set. 我承認我沒有聽過雞蠔肉, 而且我只找到雞蠔肉的法文 Sot l’y laisse, 中譯是 “傻瓜才不要的東西”. 台北鳥喜主廚講解雞蠔肉位在連接身體的雞腿根部, 因為不起眼, 要刀工俐落才能取出, 此款串燒單價高因為一隻雞只有兩塊雞蠔肉.燒烤雞蠔肉切面相當誘人, 金黃雞皮覆蓋住厚實油脂, 油亮肉質品嚐起來相當粉嫩, 若是預算足夠, 我蠻推薦這一道串燒, 畢竟雞蠔肉較少見. I admit that I never heard of Sot l’y laissez (Yes, it is French). 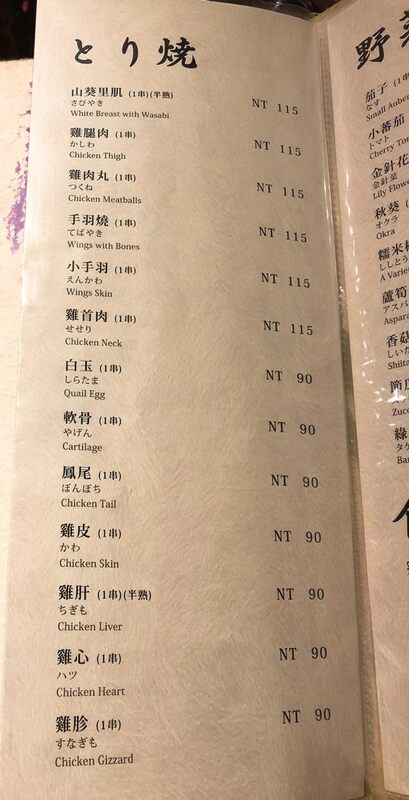 It would be easier to translate into “Chicken Oyster Meat”. The chef mentioned that Sot l’y laissez is the parts between chicken thigh and body. You would need knife skill to separate perfectly. 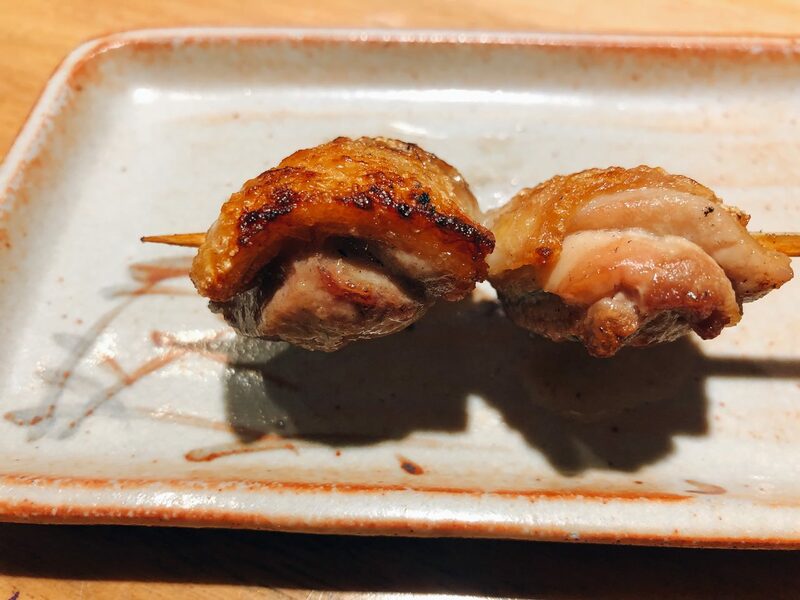 The grilled chicken oyster meat has fair amount of the fats and dense but tender meat. If you have enough budget, I would recommend this dish.